Total : 159 j. 07 h. 18 min. Temps à bord d'ISS ISS Expedition 26/27 156 j. 19 h. 43 min. Total: 156 j. 19 h. 43 min. Total 10 h. 12 min. DATE AND PLACE OF BIRTH: : May 25, 1969, Irkutsk, RSFSR (Russia). Farther - Kondratiev, Yuri Semenovich, b. 1945. Mother - Kondratieva (Zaozernova), Valentina Dmitrievna, b. 1946. EDUCATION: In 1990, graduated from A.F.Myasnikov High Military Air School, Kachino, with diploma of pilot-engineer. In 2000, after completing a course of study at Moscow State University of Economics, Statistics and Information Science, he became a qualified economist. In 1990, upon graduation from the High Military Air School, he was placed under the orders of the Air Force Commander of the Privolzhsk-Urals district. Since December 1990 he was a pilot-student at V.P.Chkalov Aviation Training Center, Borisoglebsk. Since October 1991 he was under command of the Commander of the 1st Air Force. Since January 1992 he is a senior pilot (on Mig-29 aircraft) of a separate reconnaissance aviation regiment, Orlovka, Amur region. Since 1992 he is under command of the Commander of the 76th Air Force. Since 1993 he is pilot, and since February 1994 he is a senior pilot of 159th Air Fighter Guards Regiment, Petrozavodsk-15. In July 1997, on a decision of the State Interagency Commission, he was recommended for enrolment in the air force cosmonaut corps of the Cosmonaut Training Center. In December 1997, by order of the RF Ministry of Defense he was enrolled as a candidate test cosmonaut in the cosmonaut corps of the Gagarin Cosmonaut Training Center. 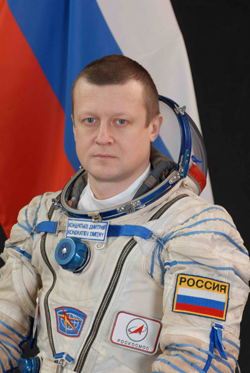 Since December 1999 he is a test cosmonaut. Since January 1998 through November 1999 he completed a course of basic cosmonaut training. On December 1, 1999, by a decision of the Interagency Qualification Commission he was given the qualification of Test Cosmonaut. Since January 2000 he has been training within the ISS program team. Since 1993 he is pilot, and since February 1994 he is a senior pilot of 159th Air Fighter Guards Regiment, Petrozavodsk. Since March 2001 he passed a full course of training for a space flight as the ISS pilot/flight engineer and the Soyuz-ÒÌ TSC commander of the backup crew of Expedition 5 to the ISS (ISS-5d). In late 2003 he was assigned to the backup crew of Expedition 13 to the ISS (ISS-13d) as the ISS pilot/flight engineer. 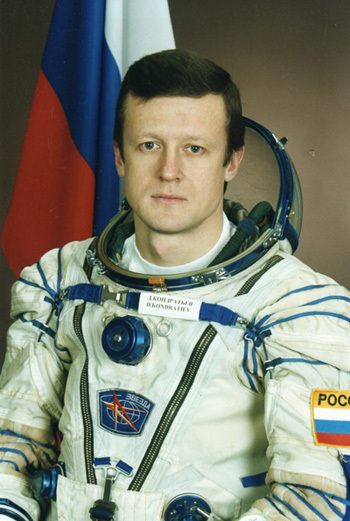 In early 2004 he was transferred to the prime crew of Expedition 13, together with Pavel Vinogradov and Daniel Tani (USA). He passed a full course of training for a space flight. However, because of the fact that recommencement of the U.S. shuttle flights was again postponed, in autumn 2005 he was removed from the crew and placed in reserve. In May 2006 Kondratiev was sent on a mission to Lyndon Johnson Space Center (USA) as the Gagarin Cosmonaut Training Center representative. 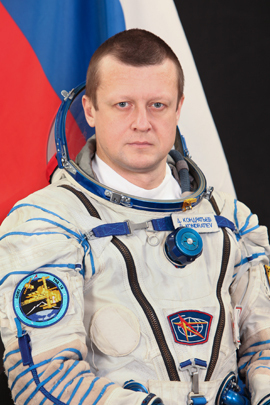 On December 16, 2006 by Order of the Minister of Defence he was assigned as the CTC cosmonaut team commander. In August 2007 he was preliminarily assigned to the backup crew of Expedition 20 to the ISS (ISS-20, up to July 2008 it was designated as ISS-19V). On February 12, 2008 NASA officially declared on his assignment to the backup crew. In July 2008 there was a message about his assignment to the prime crew of Expedition 25 to the ISS (ISS-25, up to July 2008 it was designated as ISS-22À). On September 21, 2008 his assignment was confirmed in the plan of flights to the ISS, that was published by Roscosmos press-service. On November 21, 2008 his assignment was officially confirmed by NASA (press-release ¹08-306) when declaring the ISS-20 - ISS-26 crewmembers.